Play this enchanting remix while browsing the thread! Only time will see how it all ends." Yes. Ages ago is when it all began. And when "ages" is referenced in this case, it means about 20 years. Although this game was released in Japan in April of 1995, it didn't hit North American shores until August of that same year. A lot of time has passed since then. It seems so long ago, yet remains so fresh in many players' minds. I of course am talking about what is not only the best RPG of all time, but arguably the best video game ever created. "All life begins with Nu and ends with Nu... This is the truth! This is my belief. At least for now..."
So...1995. I'm not sure where all of you were in life at that point, but for me? It was 10th grade. I was 15 years old. Times were easier back then, and though I didn't have a lot of disposable income, I had a lot of freedom. And as someone who enjoys video games as much as I did (still do) it was a kind of exciting time to be in. We were basically at the end of the Genesis/SNES "console war," with the SEGA Saturn having already released earlier in the year, and newcomer Sony was about to release something called a "Playstation" in the coming month. Next-gen was upon us. Yet Nintendo, who was fresh off of beating old rival SEGA with the release of games such as Super Metroid and Donkey Kong Country, (and about to put the final nail in the coffin with Yoshi's Island, Killer Instinct and Donkey Kong Country 2) on their aging 16-bit console, their next-gen console wasn't set to release until the following year. To me, it almost felt like Nintendo was losing some footing here. Nintendo hadn't much updated their Gameboy line (the Gameboy Pocket hadn't even released yet), mega-franchise Pokémon hadn't been introduced yet, and they basically crashed and burned with the ill-fated Virtual Boy. I was looking for something...big. Epic. Something exclusive to the SNES. Something to rival all other games at the time, and make the idea of buying into a brand new console a ridiculous notion. And yes, the games mentioned above certainly helped with that, but at the time? 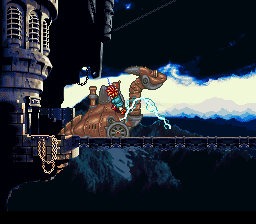 I was looking for something *meatier* than fun, silly platformers and savage, 2D fighters. Could the Super Nintendo really deliver an experience like that, so late in it's life? "Come back anytime. We'll ride the wind, babe." Who needs 32-bits...or 64-bits, amirite? I wanted this game. I needed it. It was huge. An enormous testament to the capabilities of the SNES, and a game that proved that better technology didn't necessarily mean a better game. There was no longer a need (or even a desire) to buy a new console. The 16-bit console was all I needed for now. Well. Actually, I needed something else. Firstly, the cash to buy the game. And secondly, a ride to the mall so I could go into Babbage's. (remember Babbage's?!?) Sadly, at the time, I had neither of these two things. My dreams were dashed, and Chrono Trigger went on to be a thing I would desire, but could not obtain. "Just as you touch the energy of every life form you meet, so, too, will will their energy strengthen you." But luck was on my side. A buddy of mine had bought the game when it came out. He played it, beat it, loved it...but then...he was done with it. And he had his eyes firmly set on the future. He was about to dive head-first into next-gen, and his target was locked on the Playstation. But he was short some dollars, so he was asking around if anyone wanted to buy his old games so he could get the cash to buy Sony's machine. He had some good ones...Ninja Warriors, Mortal Kombat II....and yes, freakin' Chrono Trigger was up for sale. I had saved up some money by this point (October in 1995, I think?) and he was selling his cartridge for less than what Babbage's or Funcoland was asking for. I jumped on his offer right away. Bought the game, *complete in box* from him for a cool $45, IIRC. Best purchase ever? Maybe. 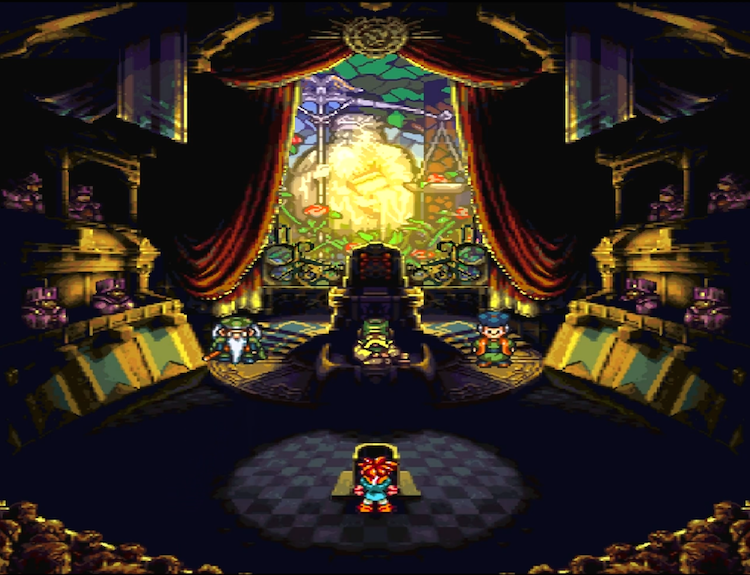 Chrono Trigger ended up being everything I had hoped for, and more. A strong, resilient hero, an amazing, epic adventure, and characters and story worth remembering. It was a defining time in my childhood/adolescence. 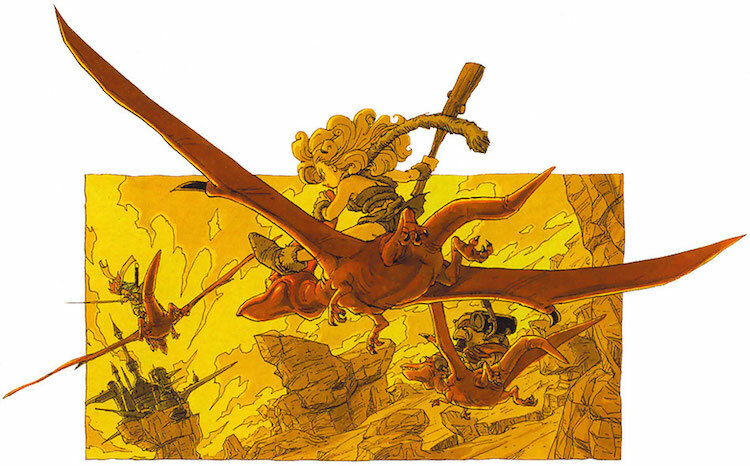 The overall experience of Chrono Trigger left a permanent mark on my soul. It was my first RPG ever. It exceeded all my expectations, and since then, no other video game has been able to achieve what it has. It was absolutely incredible. The perfect game. 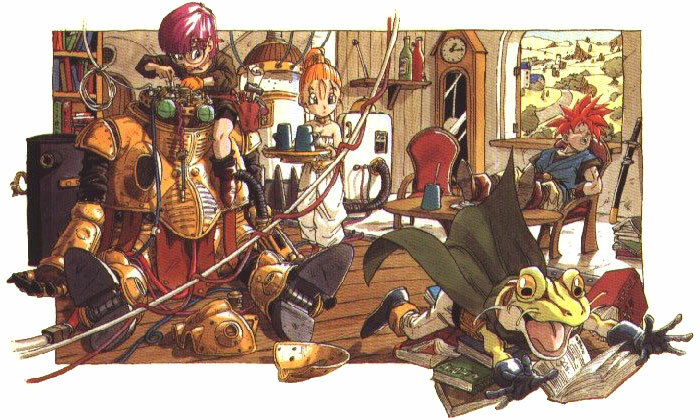 What are your thoughts on Chrono Trigger? Were you able to play it on SNES? PSX? DS? Let's talk, discuss, and celebrate what will likely be Square-Enix's best product, forever! I've always liked this pic, but...what is Frog doing? I never figured that out. I'll read this when I get back home from work. 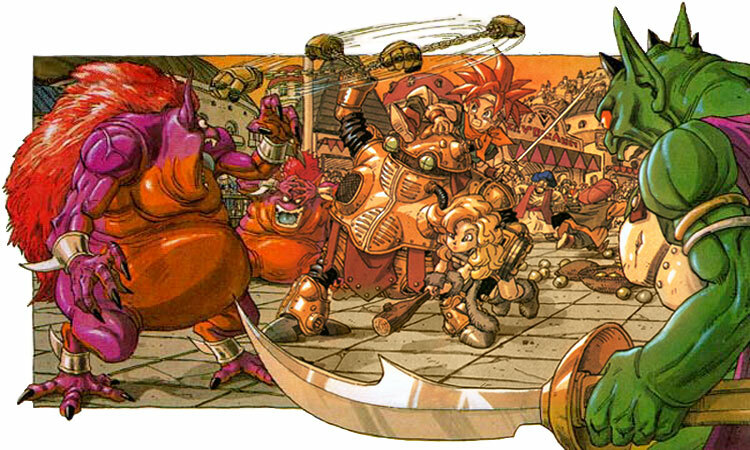 I'll just leave my Chrono Trigger DS Review here as my thoughts in the mean time. Even though I was well aware of his game when it came out on SNES, I was not into RPGs until the PSone era. My first time playing this game was when I was 23 in college. I played the DS version and loved it! I only ever beat the game once. Unfortunately about a year after that, my DS and some games were stolen and this was among it. Because of this thread, I literally went to amazon and bought a brand new copy of this game for DS. Looking forward to playing it again. For some reason I thought this already happened, but I must have been going by the Japanese date. It was actually not me who bought this game, but my older brother back in 1999. We were in a game store back when those were a thing, trying out used games back when you still could in-store. He tried several RPGs, and then settled on this one since it had the best opening; I forget what all else he tried, but I'm pretty sure another was Earthbound. He paid $20 for it, which I remember because I thought that was a high price for some old game. It's funny to me because of how much more it costs now. He stopped caring about games long ago though, so I own the cartridge now. There was something funny about playing a game in 1999 where an apocalypse happens in 1999; I think they should have chosen a more far-off date since the world was way too futuristic for being 4 years after this was made. I should probably grab the DS version sometime, in case it reaches crazy prices someday too. I know most people seem to think the extra content wasn't very good though, and the lessor music would be unfortunate too; still one of the best game soundtracks I know of! I still remember when a friend of mine stopped me in the High School commons to show me the cover artwork and tell me how mind-blowing the game was. It's a good one! One of the best RPGs for sure. Anybody notice how beloved CT is for it's playful (yet dramatic-when-necessary) tone? Why aren't more RPGs like this instead of that take-themselves-too-seriously-fantasy that WRPGs are guilty of, or the teenage-angst-explosion that modern Final Fantasy has become? CT also has terrific pacing and does a good job getting your attention from the start. I remember renting this when it came out per Nintendo Power's suggestion. I had to practically twist my friend's arm to rent it instead of some loser racing game he wanted, but like a good friend, I held my ground (same when I convinced my cousin to rent Mega Man X for the weekend instead of a vehicular combat game). We rented CT, got to the trial, and had a terrific time. I asked for it for Christmas that year (1995) and loved it. @TriforceBun I think a lot of the humor and light hearted nature can now be seen in dragon quest and the Mario RPG games. Actually, the similarities in tone between dragon quest and chrono trigger is one of the main reasons why I got into dragon quest in the first place. I wish games wouldn't be too serious with overblown stories sometimes. 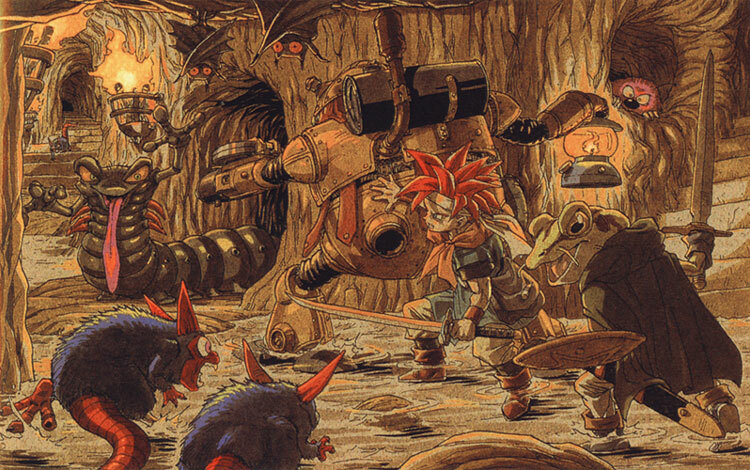 Chrono Trigger had the perfect amount of world building, twists, and intelligence. Grant, I wish you'd read this on the show so we could feature it as a segment, song and all. I love this game - and I know you do too. I was going to launch a thread on Aug 22nd - it's actual NA b-day but you beat me too it - and I'm not mad at all. It was a great write up... To me, it's still perfect and I treasure the DS/VC copies of the game that I have in my possession. My Call for help for being stuck on Lavos even after beating it many times before - due to me being over familiar with the game, I had gone the most direct route and was just under leveled - and at 2am, this perplexed me to no end. This thread is just over 5 years old now - complete with GDG's amazing boss play by play to help figure things out. from a friend of mine.. I was reminded of CT not too long ago when this video came out. Great game. I should give it another playthrough. Hehe, pretty on the nose. Except for EARTHBOUND, SHATTERER OF RPG CLICHES! Anyone wanna run this thang for an EC? 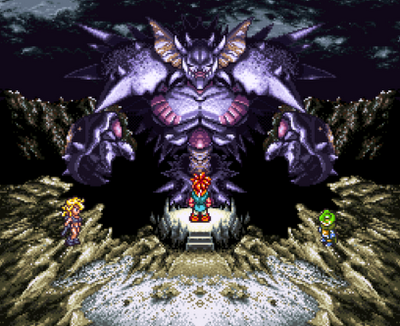 Golden Sun 2, still gotta play this Ogre Battle 64 in December; so little to do before, so much to do now! I LOL'd. It's pretty accurate...except for the world's most popular JRPG ever; Pokémon! That sounds great! Would the EC just go through the game once? Or would it involve getting all (or some) of the different endings? I remember the hype for the game but outside of a rental or two never got around to it until the DS rerelease. My RPG space was occupied by wanting to get EarthBound. Probably once, and I'd imagine the 'best' ending? I don't want to run it though.. I'd be up for an Epic Center with this game, that would give me a good excuse to finally buy the DS version. It's also been a very long time since I've started a new game and not a plus, probably like 14 years or something, so that would make for an interesting experience. Square Enix is having a flash sale on PSN, and Chrono Trigger is $5 there, for those who have a PS3/PSP/Vita and want to play. Chrono Cross is also on sale for $5, and I've got my eye on it, but I haven't quite pulled the trigger yet.